Most of the people in today’s competitive world know what is SEO and how important is to enroll it in business. Most of the SEO analysts are performing SEO only for Google, but the perfect SEO lies in optimizing the website for all the major search engines. Just like Google, the other major search engines available are Bing and Yahoo. 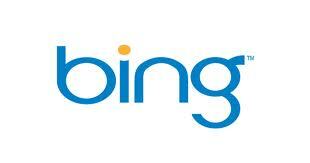 Bing is one of the best web search engines called previously as Live search, Windows live search and MSN search. It is revealed on May 28, 2009 by Microsoft CEO Steve Ballmer. Few days ago, Bing has unveiled some of the things which will help and hurt SEO. It has uncovered this list of things to make the website reach the top of the search results. Even though, the list has been provided by Bing, the same factor will as well affect the position of the website in Google. Let’s discuss about the things that needs more attention and the things that should be avoided while doing SEO. Title tags – For better Title tag, enter the keyword at the beginning, avail it as branded, use synonyms and key phrases whenever feasible, use unique and relevant page titles and that too not more than two keywords. Meta Descriptions – Best meta description should have search terms that grabs Google and customer’s attention, trade name, describing the whole content under 156 characters and unique under Google’s guidelines. Clean URL’s – Should not use symbols and spaces except hyphens to make it readable, not longer than 2048 characters and avoid using parameters. Image and Alt description – Makes the image meaningful in the context of the web page, so be brief, clear and contextual, be search engine conscious and not alone for SEO. H1 tags – Put H1 (header tag) at the top of the web page and favorably after body tag and try to include targeted keywords inside. Rel-canonical – Place it in the head of the web page and that too only once, it should not be used in 404 page, the canonical page should not have “noindex” and “nofollow” tag and as well redirection with and without www. Robots.txt – Avoid using comments and white spaces, use one directory per line, use right case and be precise. Sitemaps – Provide effective sitemap with prominent link color and description as it helps highly with better usability, accessibility and search engine promotion. Social sharing options – Avail the social media sharing options in your website to make your customers get updated about your latest news and as well to get authorized. Unique and Depth of content – Content plays the major role in SEO today, so never ever think about spinning or duplicating the content, be unique in writing to be unique in getting reputation. Matching Content type to visitor’s expectation – Try to write relevant articles and also add appropriate images and videos in order to grab the attention of relevant visitors which in turn will convert the visitors to customers for the physical business. Usability Page load times – Always, users expect faster loading web pages to make their need fulfilled; sometimes loading time may influence the bottom line of the website. Crawlability – Most important thing in SEO as the website will reach the top of the search results if it is discovered by the search engines, make your page friendly to make it easily crawled. News – If your site is based on news, then expose it through some inclusions. Meta Keywords – Be short and relevant and never ever try to stuff the keywords. Duplicate URL’s – Never go behind duplicate URL’s, there are several ways to prevent, know them. Cloaking – Don’t try to optimize your content only for search engine, as search engines decides the results based on the customers satisfaction. Link Buying – Buying links doesn’t hurt SEO in those days, but today search engines strictly penalize the site buying the links. Link and like farms – Avoid exposing your website through link and like farms as there has a great chance to grow your website as spam. Three way links – Don’t go behind 3 way links as they are easily identified nowadays and considered as spam. Content duplication – Avoid spinning the articles to make your website get avoided from Panda penalty and as well to grab the attention of customers. Auto following in social media – Auto following seems to be very disappointing nowadays and so most of the social media sites bans it. These are the ordinary factors that every SEO Company needs to be pondered while doing SEO. As like Google, Bing usually doesn’t accept the fraudulent that takes place in SEO. So, never look forward to buy links and followers. Go behind white hat SEO methods to not to worry about spam filters and punishments. Author Bio: Layla Poppins is a professional content writer in a well recognized SEO services in Cardiff. She is very much interested in ghostwriting, web content, EBooks and SEO articles. Writing content is not simply her job, it’s her craze and she breathes for it! I really liked your post. Keep it up.